In the previous posts, we discussed the top challenges for manufacturers looking to expand their E-commerce revenue and how to launch an operations framework to support dropship. Now, we’ll walk you through how manufacturers can implement a dropship program that will comply with retailer customers’ requirements and streamline their own E-commerce initiatives. Manufacturers are often mandated to dropship on behalf of a retail partner and are given short notice, without allowing them time to getting organized. Before you ever sign a contract or have your merchandise listed on a retailer’s website, you need to plan and define internal responsibilities. Ask prospective retailers if they have a vendor standards guide that includes dropship policies. Before you agree to have your SKUs featured on any website, proactively reach out to your retailers and find out their expectations and shipping requirements. Plan to initially work with just one or two retailers to get familiar with the process. 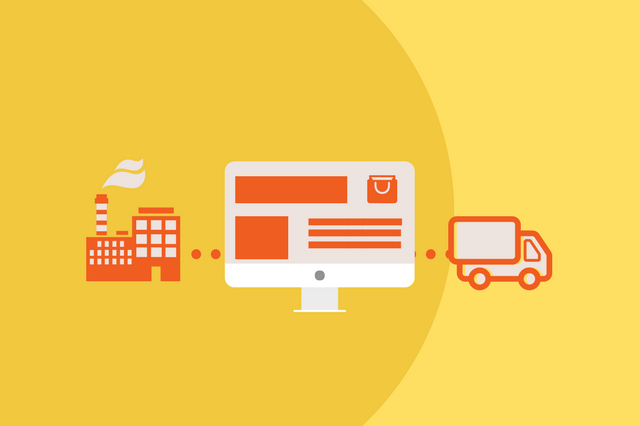 Manufacturers must set up a framework for dropship that scales for multiple retailers. You want software that can help track your inventory, provide shipment details from multiple retailers, and receive shipping information. Teaming up with a third-party to provide these functions is often a good choice. Choose your dropship software provider wisely. Refer to the link below for the criteria to aid you in selecting the best provider for your organization. A big part of your success will be maintaining full compliance with buyer dropship guidelines. Whether in-house or outsourced, your dropship management technology should provide real-time pending rule violation alerts to your mobile devices so you can react to them quickly. This feature is pivotal in keeping your operations compliant with retailers in order to avoid chargebacks and other costly penalties. Also, recognize that you are competing with other manufacturers who provide similar merchandise and your attention to detail on things like EDI orders will set you apart from the rest. It’s time for business! All of the planning and preparation should have you prepared, but again, keep your retail partner aware of how the dropship program is proceeding and keep your team privy to any issues. If you need any help getting your dropship program off the ground or you want to improve an existing program, we’re here to help. Contact us here.